While trying (and I mean trying… or in honest truth, actually secretly adding while trying..ha!) to work through my stash of projects, I finally decided to empty my brain of the plans I had to create a unique piece. 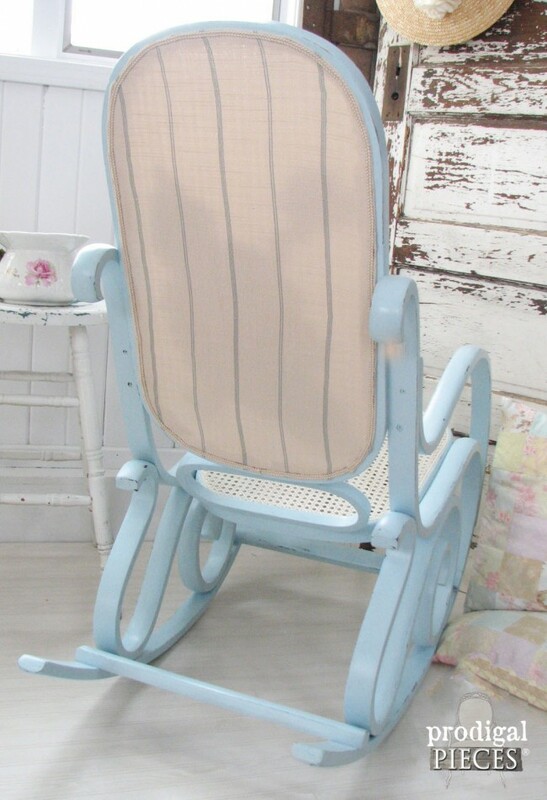 Enter in this vintage Bentwood shabby chic rocking chair. Pretty, isn’t it? Aaahh…my brain is now able to move on. I’m happy with how it turned out. This chair was in excellent shape with only some minor nicks that were easily sanded out, and the caning was firm and intact. For some reason, the moment I got this chair, I kept seeing a cross-stitch loom in the caning. And, of course, it needed to be filled with some sort of shabby type design. Since I hadn’t done a shabby piece in a while (I’ve been a modern vibe for a bit), I thought now was the perfect time. Especially because our weather is lacking and I’m suffering from cabin fever!! So after a couple coats of my favorite color chalk paint on frame and cane topped with a hand-rubbed wax, I grabbed my yarn needle and set to work. Let me tell you that being 6 months pregnant and trying to embroider a rocking chair is not the easiest thing to do. Just picture me on my desk chair next to the rocker, half-kinked over trying to reach the back with needle and yarn. My back and neck were killing me. But… I honestly didn’t notice too much because I was having fun! Since the stitched design was happening on the front, I needed to dress up the stitch marks on the back. See my prego belly? The backing added to the overall uniqueness of the chair, don’t you? I must say that even though this chair was available in my shop, (SOLD) I would be perfectly happy to keep it because my kids and I used it for a while before working on it and it is oh so comfortable! It has the most wonderful rocking gait – long and smooth. Do pin and share to inspire others to look at their current or thrift store furniture differently. Making you house your home doesn’t have to break the bank. I’d love to hear what you think. On to the next piece! Who would have thought? Great job! 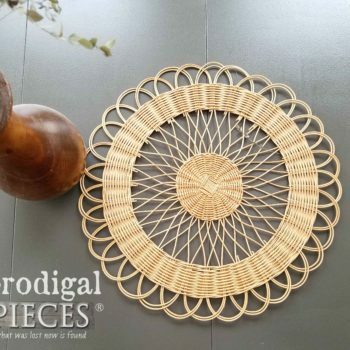 I have a bentwood waiting to be painted … Love the embroidery idea. 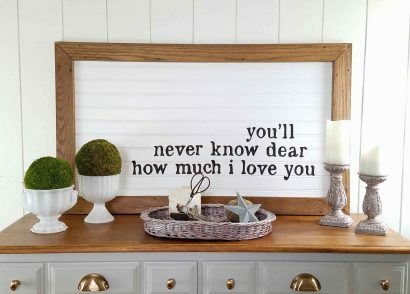 It would be cute to add a child’s name to it for a nursery! Love what you did! 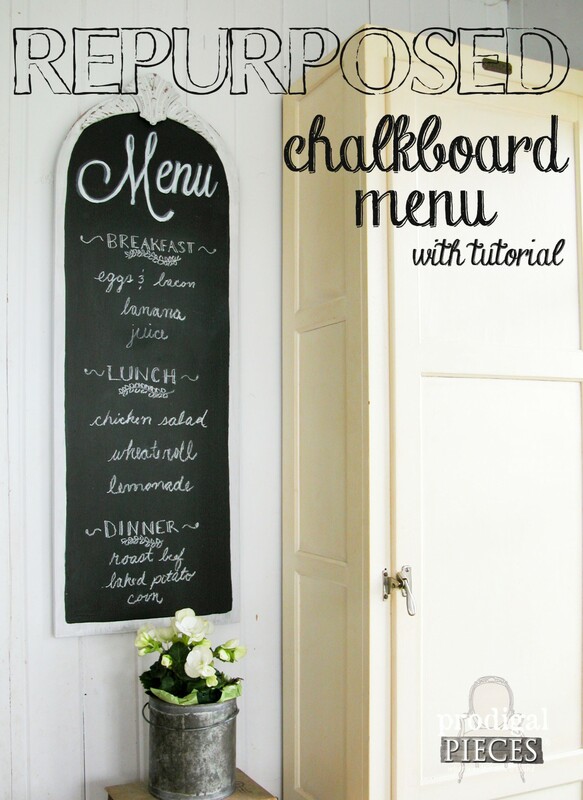 Larissa this is absolutely adorable – what a great idea! Wow! What a unique idea! 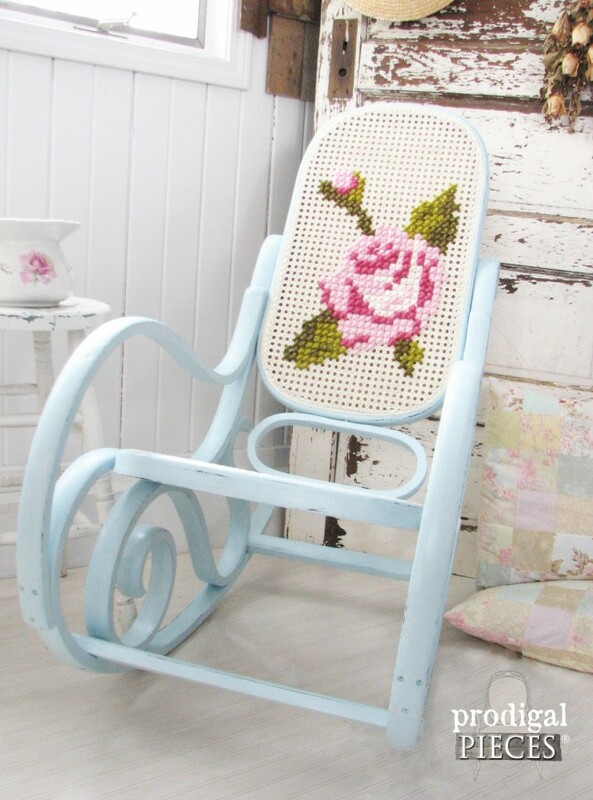 I have a rocker just like that and it never crossed my mind about how the caning would make a perfect cross stitch canvas. Hmmmm? You’ve got me thinking. Great job! It’s really pretty! Wonderful job! I especially like the clean paint job – no sanded fake chippy finish. 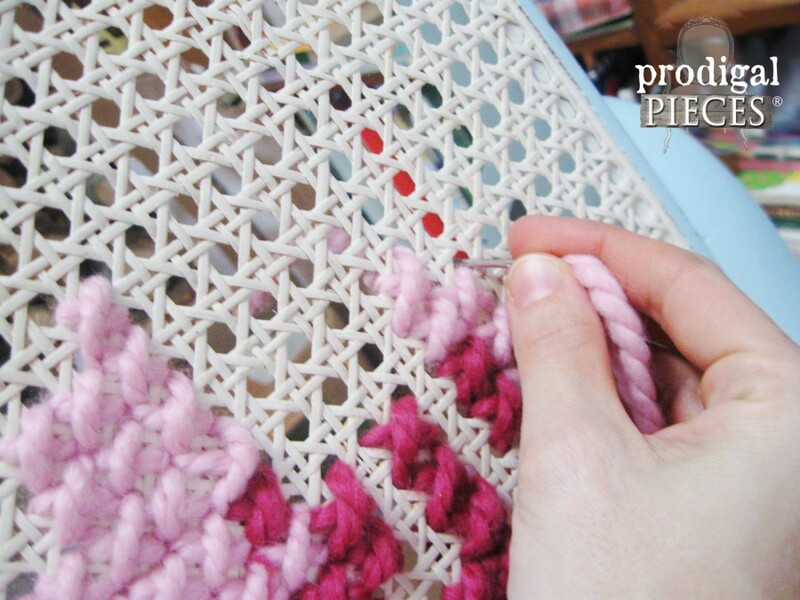 Oh, and the cross-stitiching is marvelous! I have a chair with caning on the sides. Maybe I’ll paint the whole thing, fabric and all, then have my husband cross-stitch something on the sides. He’s so good that the back looks like the front, so wouldn’t even need to cover the back! I have that same rocking chair. My husband gave it to me for our first Christmas after our wedding in 1981!!! 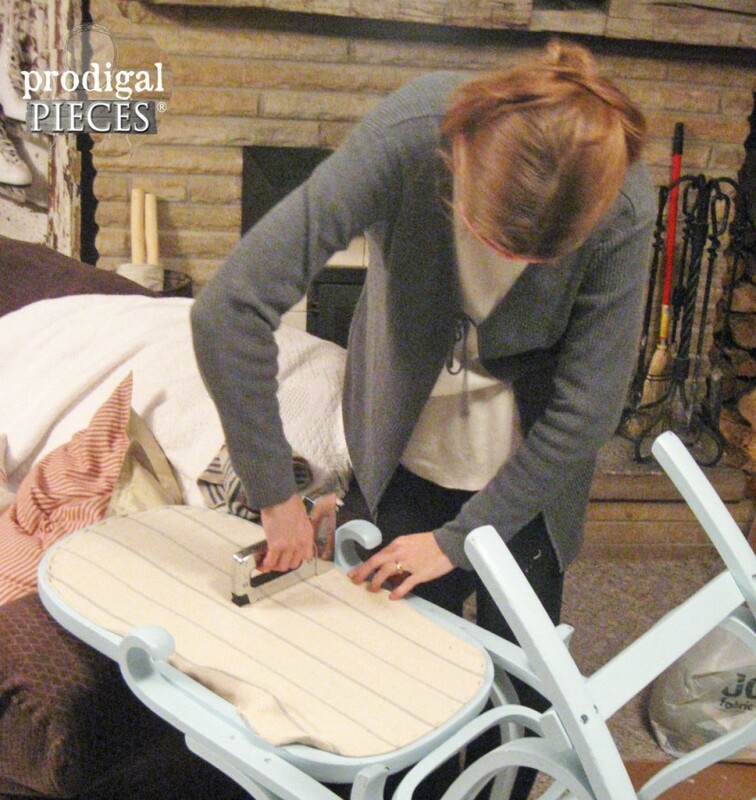 I love this idea and think I will just have to redo my chair too! So pretty and I’m pinning for my next furniture redo! 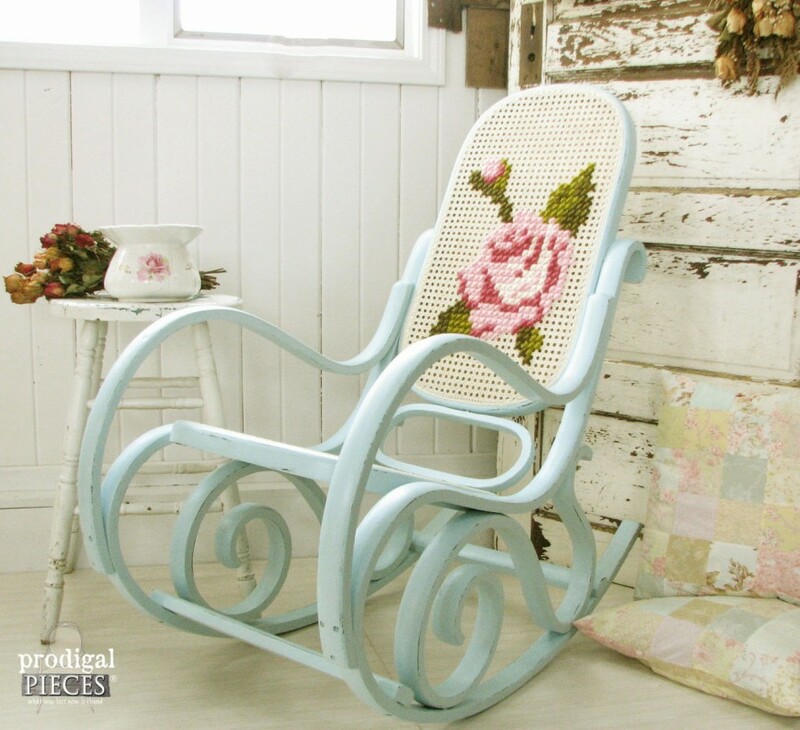 Your rocking chair with the cross stitch design is genius! I love everything about it, from the color, to the fabric on the back, to the gorgeous rose you cross-stitched on the caning!! Visiting from FFF. That is absolutely gorgeous! What a fantastic idea! That is just darling and oh so clever. Nicely done as well! That is awesome! I never would have thought to add the cross stitch. I just came upon this today and had to leave a comment saying it is the most amazing freshening up I’ve seen! I love this! 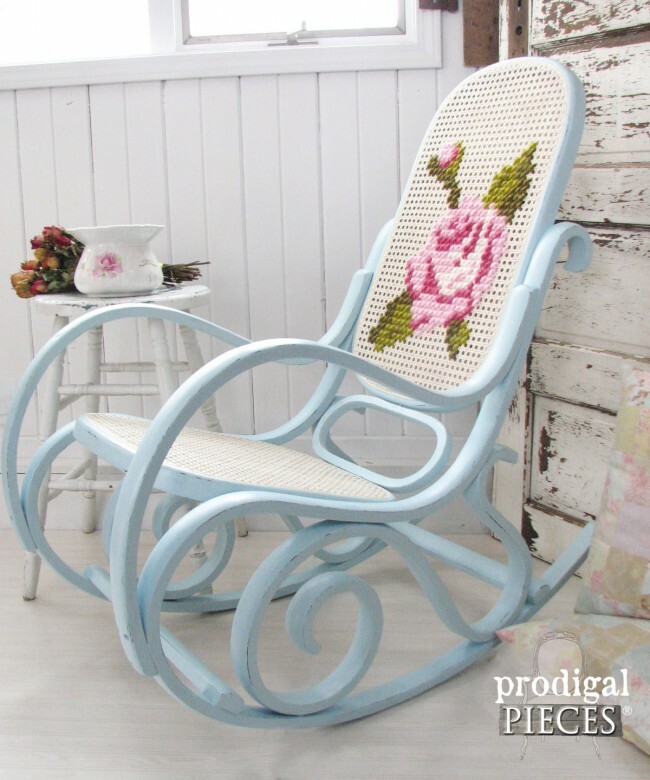 I would like to have the pattern you cross stitched onto the rocker! is there a way to get it? I LOVE this! 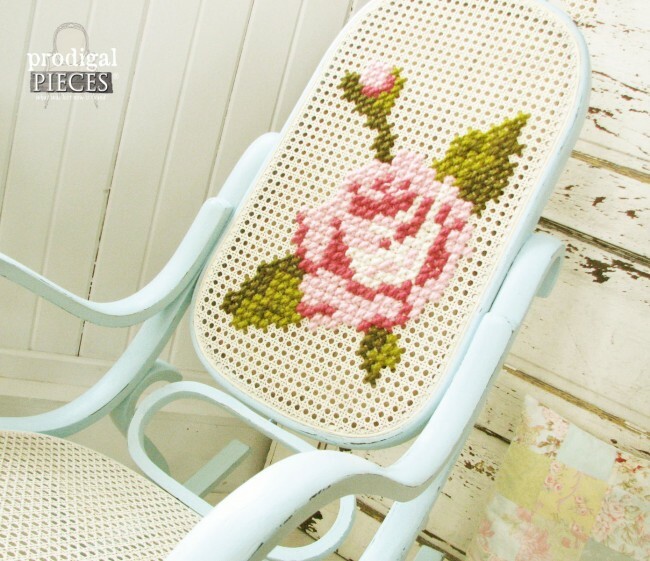 I have this exact chair too… is there a way to get the cross stitch pattern from you that you used? I want to do this! Great Job! What kind of wax did you use for the cane? Beautiful! Love the color and the stitching! I have an afghan that my mother made me in 1980 that has the same rose pattern on it. I hangs on my quilt ladder in my bedroom. My aunt bought the kit and gave it to my mother because she couldn’t figure out to use the afghan needle. She gave to me for graduation from nursing school. That is beautiful! 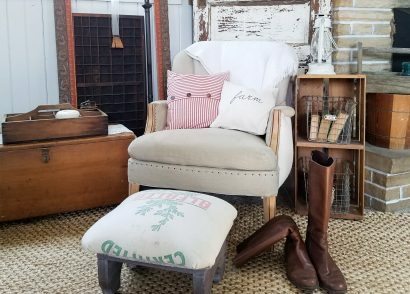 I’m not really a shabby chic kind of girl, but that chair re-do is so creative and really beautiful! How did you know what kind of yard would work? Great idea for a cane chair! I am definitely going to do this with mine! What a great idea and a great look! 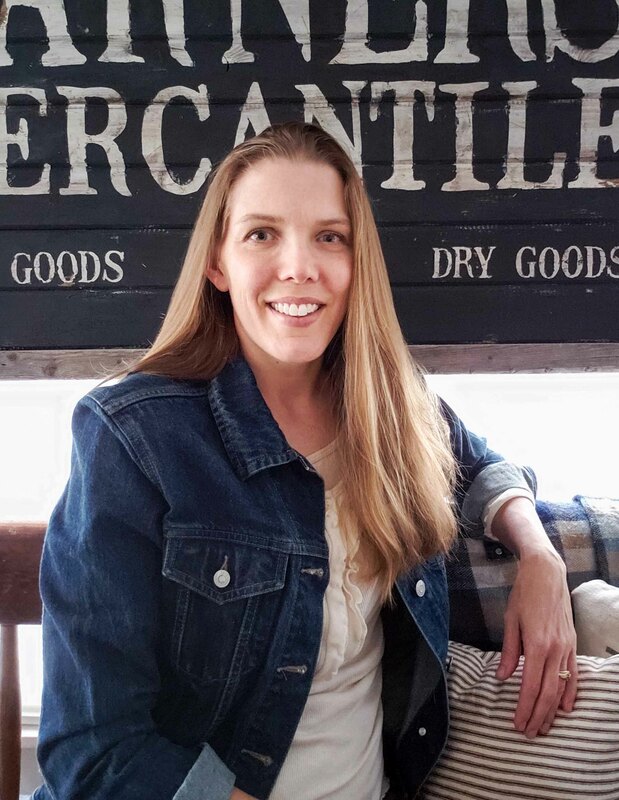 Hi Larissa: I’m new here, as of today, and I’m seeing your gorgeous embroidered rocking chair for the first time and it really spoke to me. How did you get the rose design? Roses are one of my favorite flowers as are pansies and JohnnyJump-Ups.. Would a stencil work? Congratulations on all you do for your family and keeping life meaningful. That makes you a star! Oh my goodness! I absolutely love how this turned out!!! I just bought this same style of chair today at a garage sale for $5 I will be trying this! Thank you so much for the idea! Wahoo! So glad you enjoyed and are going to give it a try. I’d love to see what you do! I love the colour, the cross-stitch, all your work! 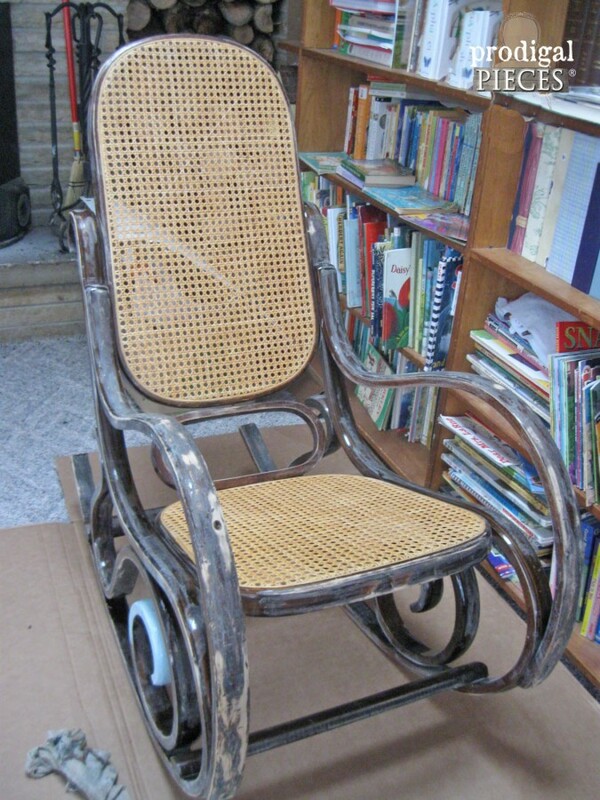 Definitely I´m going to try with my old rocking chair. Larissa, I am always impressed every time I see a piece of your awesome work, and this is no exception! You are so crazy talented, girl! You are the sweetest, Jane. Thank you for making my day! Oh my that’s divine! You’re so talented!!!! Fabulous piece!! Exquisite.. You are very talented!! Thank you so much, Karen. I certainly had fun! So talented! Beautiful work! Thanks for posting although I doubt I could ever match that! You are so sweet. Thank you for the love! Love the chair. I am in search of yarn to do a similar chair. What did you use and where did you find it? I would think wool would be best? Any help would be so appreciated. Thank you. Thank you, Diana. I used Wool-Ease from JoAnn. I hope you have fun! Thank you, Ivory. 🙂 My little girl is now two years old…I can’t believe it! Love this! I just found an old bentwood rocker curbside and am hoping to do something similar to yours, it’s so beautiful and unique. 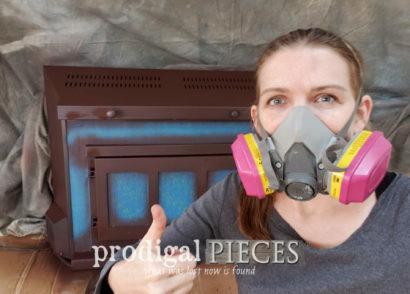 What brand/color paint did you use? I love this chair! Such a great idea. It turned out just amazing. 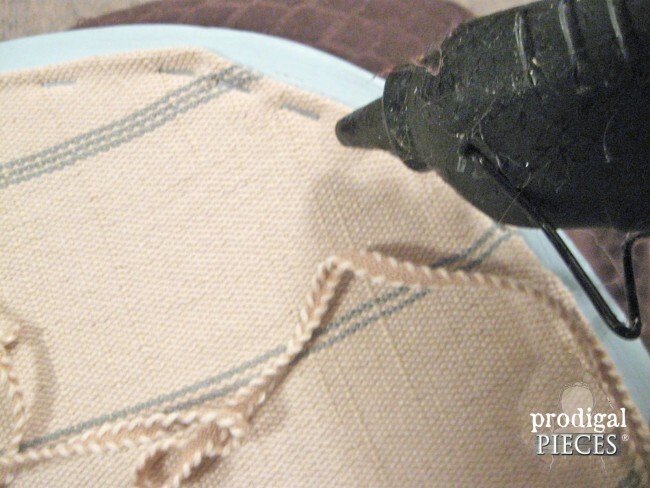 Apartment Therapy has an article on cross-stitched DIYs. 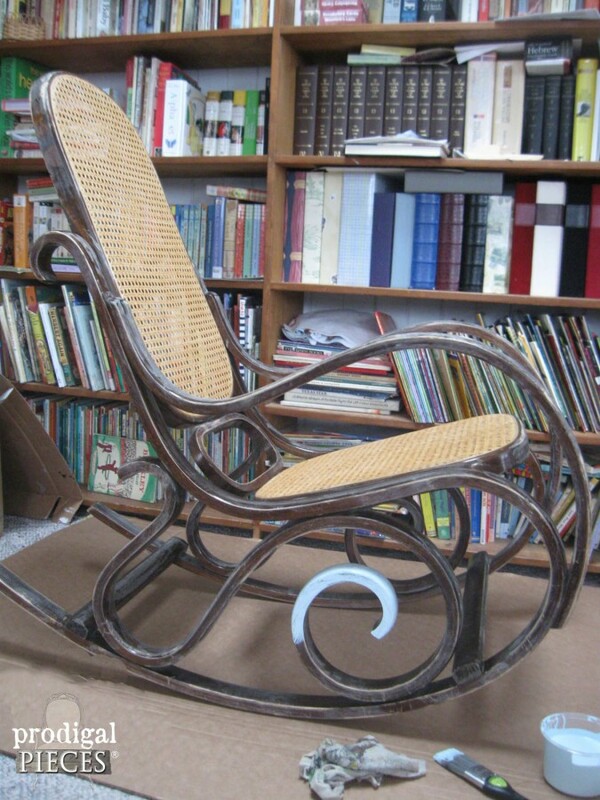 I hope you don’t mind, but I commented about your bentwood rocking chair on the site and linked to this post. Your chair is absolutely gorgeous.